When it came to organized crime in Illinois, Chicago-based Prohibition-era gangsters loomed large during the 1920s and 1930s. Al Capone, Frank Nitti, Lester “Baby Face Nelson” Gillis, Jack “Machine Gun” McGurn and George “Bugs” Moran earned international infamy that persisted for decades after their deaths. For years, the general perception was that when world travelers informed locals they hailed from Chicago, the locals responded with “bang, bang” and a finger-gun gesture. The combination of enterprising criminals, complicit public officials and Prohibition gave rise to crime syndicates involved in bootlegging, gambling, prostitution, extortion and murder. 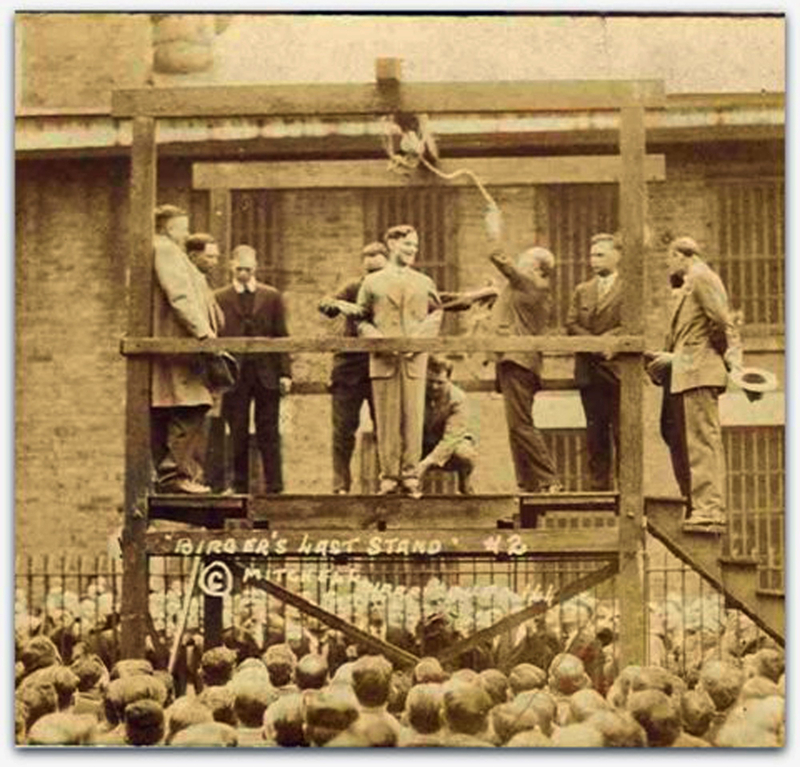 Organized by ethnicity and geography, the syndicates were known as the Chicago Mob or the Outfit. 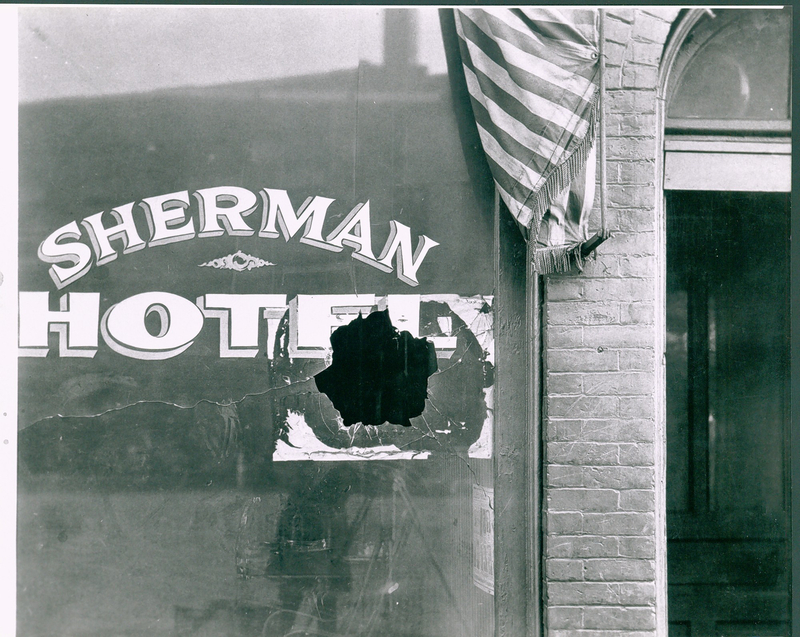 They produced the likes of Capone, Nelson and Moran — Capone’s rival and the target of an attempted assassination in 1929 known as the St. Valentine’s Day Massacre, which claimed the lives of seven men, including Moran associates and an innocent bystander or two. But Chicago wasn’t Illinois’ only hotbed of criminal activity. Southern Illinois was home to Russia-born gangster Charlie Birger, who was involved in gambling and bootlegging in Saline, Williamson and Franklin counties. According to historians, Birger’s onetime partners-in-crime were the Shelton Brothers, leaders of another southern Illinois Outfit. Eventually Birger split from The Shelton Gang, leading to bloody territorial disputes that rivaled Chicago’s early mob wars. Rock Island had its own version of Capone in Ottawa native and onetime lawyer turned crime kingpin John Patrick Looney, whose life inspired the graphic novel “Road to Perdition.” It was turned into a 2002 movie that starred Tom Hanks and Paul Newman, who played the gangster based on Looney. 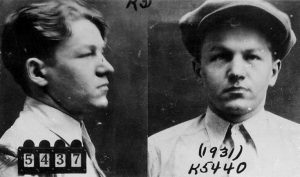 Chicago-born Gillis — whose youthful appearance earned him the nickname “Baby Face” — embraced the criminal life early, garnering convictions for auto theft as a teenager. Imprisoned for a 1931 bank robbery, he was set to stand trial for a second bank robbery in Wheaton in 1932, but escaped from the guards who were transporting him to the Illinois State Penitentiary in Joliet, according to the FBI. Several years later, Gillis joined the Indiana gangster and bank robber John Dillinger. Gillis, Dillinger and Homer Van Meter were involved in a June 1934 bank robbery in South Bend, Indiana, where a police officer was killed. About a month later, on July 22, 1934, police and FBI agents confronted Dillinger as he exited Chicago’s Biograph Theater. Dillinger ran to a nearby alley, where he was killed in a shootout. Several months later, on Nov. 27, 1934, in what is now Langendorf Park in Barrington, FBI agents Samuel P. Cowley and Herman Edward Hollis encountered Gillis and fellow gangster John Paul Chase in a stolen vehicle. Hollis was killed during the ensuing gun battle. Cowley died from his wounds the next day. Chase and the seriously injured Gillis fled in the agents’ car. Gillis’ body was found the next day near a Skokie cemetery. The son of a Chicago policeman, Roger Touhy was the youngest of six brothers, five of whom embraced lives of crime. Touhy and two of his brothers operated a Des Plaines trucking company. At the start of Prohibition, they began a bootlegging operation in the northwest suburbs and later expanded into illegal gambling. Capone, who had been buying illegal beer from the Touhys, tried to take over their operation in 1929. Over the next few years, battles between the rivals took place in then-rural Cook County, including what is now Inverness. 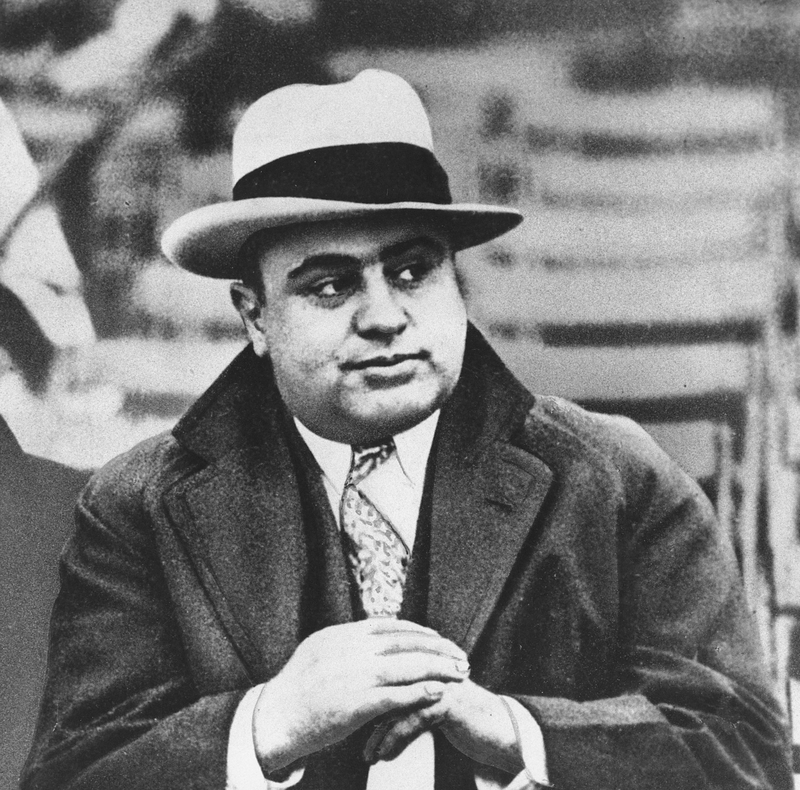 Capone twice framed Touhy for kidnapping. Touhy was eventually convicted of kidnapping the brother of cosmetics mogul Max Factor Sr. in 1933 and sentenced to 99 years. In 1954, a federal judge determined the kidnapping was a hoax. Touhy, who served additional time for his 1942 escape from Stateville Correctional Center, was released in November 1959. A month later, he and his bodyguard were gunned down. His killers were never caught. In November 1926, according to historians, Birger ordered the murder of West City Mayor Joseph Adams, who was reportedly connected to the Sheltons. That attempt failed, but a second attempt a month later succeeded. 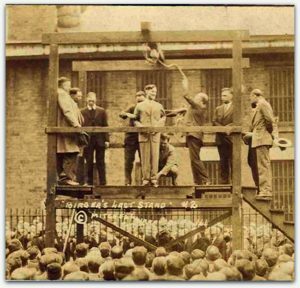 Convicted of his involvement in Adams’ murder, Birger was hanged in 1928. The jail where he was held, as well as the gallows, are now the Franklin County Jail Museum in Benton. The Shelton Gang was led by brothers Carl, Earl and Bernie, Wayne County siblings who started out making moonshine and graduated to bootlegging and gambling. A 1926 power struggle over southern Illinois bootlegging operations between Birger and the brothers led to a mob war notable for the combatants’ use of homemade tanks. Ultimately, Birger’s testimony helped send the brothers to prison for robbery. 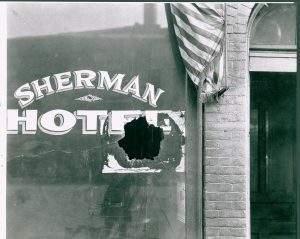 After they were released from prison, the brothers attempted to regain control of their criminal operation, which was then headed by former fellow gang member Frank L. “Buster” Wortman, who went on to dominate illegal gambling in the region. Wortman reportedly ordered the murders of Carl and Bernie Shelton. Earl Shelton survived several assassination attempts and died in Florida at age 96. Rock Island had its own version of Capone in Ottawa native and onetime lawyer turned crime kingpin John Patrick Looney. Looney ran gambling, prostitution, auto theft and bootlegging operations around Rock Island, where, according to the LaSalle County Historical Society Museum, he founded a newspaper and used it to attack enemies and to extort powerful residents by threatening to print unflattering stories about them. Convicted of murdering a saloon keeper in 1925, Looney was sent to prison for 14 years. Released in 1934, he kept a low profile until his 1947 death in a tuberculosis sanitarium in El Paso, Texas. Barbara Vitello is the legal affairs writer for the Daily Herald in Arlington Heights. She can be reached at bvitello@dailyherald.com.